“Macao Light Festival 2018 – Time Travel in Macao” will unfold glamorously at various locations in Macao from 2 to 31 December. 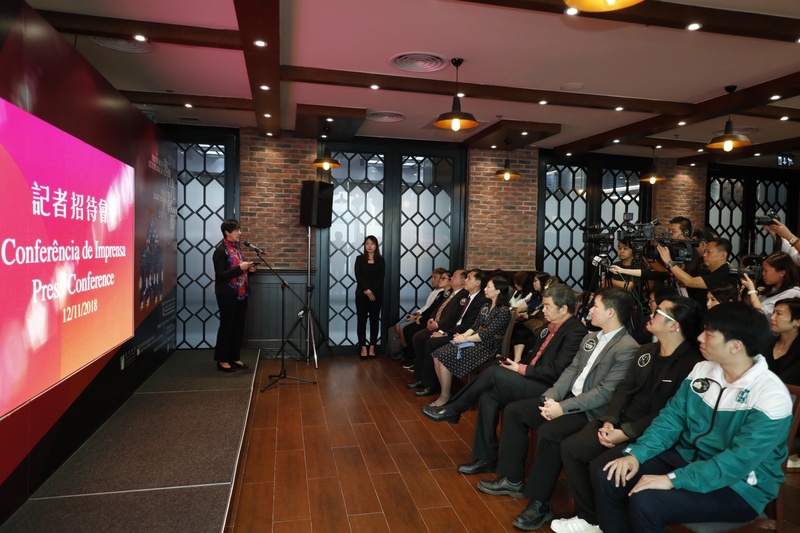 Macao Government Tourism Office (MGTO), the event organizer, held a press conference today (12 November) with co-organizers including the Civic and Municipal Affairs Bureau, the Cultural Affairs Bureau and the Sports Bureau to unveil the fascinating program. The event is also supported by the Environmental Protection Bureau and Companhia de Electricidade de Macau (CEM) this year. 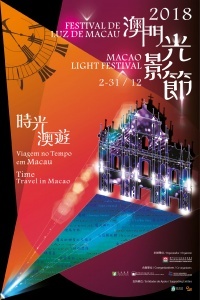 Held for the fourth year, the Macao Light Festival will feature projection mapping shows created by local and overseas teams, light installations and interactive games besides an array of new highlights such as “Food Truck x Light” and Gastronomy Night Market, a virtual reality game as well as Cultural and Creative Night Market, among others. The route will connect a string of new locations to welcome visitors into various neighborhoods. MGTO Director Maria Helena de Senna Fernandes and Deputy Director Ricky Hoi, President of Cultural Affairs Bureau, Mok Ian Ian, Acting Head of the Department of Civic Affairs and Consultation of Civic and Municipal Affairs Bureau, Au Chan Weng, and Head of Sports Facilities Management Department of Sports Bureau, Ho Wa, were present in the press conference among other guests. She highlighted the multitude of new elements MGTO came up with this year to give birth to a range of new experiences in the Festival. Among them, production teams from Portugal, Belgium and Macao were invited to tailor and stage three different projection mapping shows at the Ruins of St. Paul’s during different periods, sparked by the aspiration to create a cultural and creative exchange platform for overseas and local artists and bring the Festival onto the global stage. 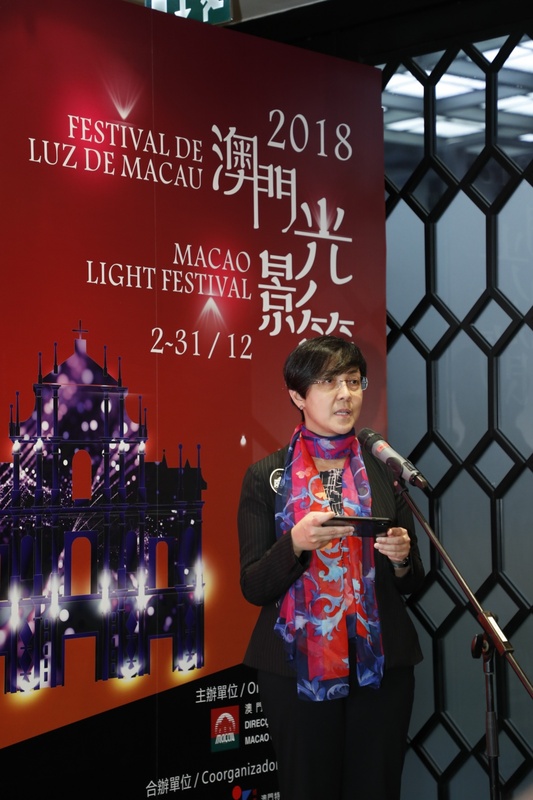 She added that the Macao Light Festival 2018 is supported by the Environmental Protection Bureau which conducts light testing for the event and proffers other professional advices concerned, helping to optimize the event by enhancing professional support on environmental protection. CEM also provides professional and technical advices regarding power usage in the Festival as a supporting entity. “Macao Light Festival 2018 – Time Travel in Macao” will be staged from 7 p.m. to 10 p.m. from 2 to 31 December (the last projection mapping show will start at 9:50 p.m. daily, while the light installations at Anim’Arte Nam Van will be illuminated until 00:10 on 31 December). Revolving around the concept of time, the Festival will weave up local elements of gastronomy, humanity, architecture, culture, creativity and other realms. 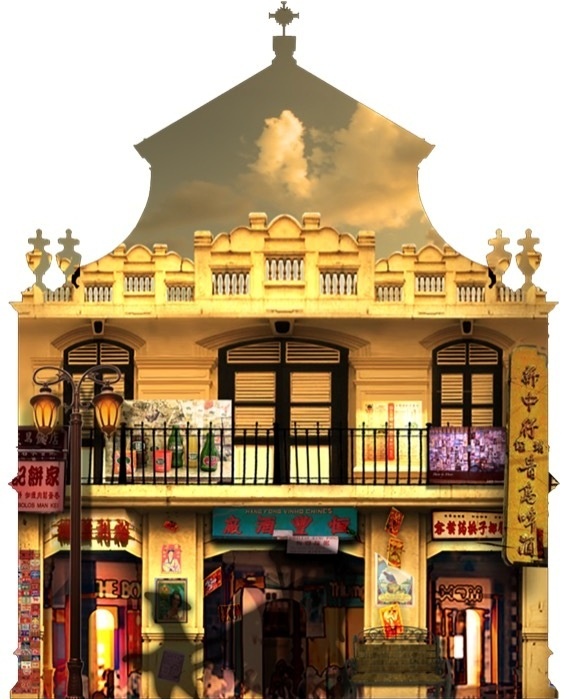 The event will not only manifest the city’s East-meets-West cultures, but also portray nostalgic stories and childhood memories of Macao people, leading spectators onto a glittery journey across time and space in Macao. The Macao Light Festival covers a relatively extensive map of routes this year. There are three distinctive themed routes covering eleven locations across five districts, connecting a string of new locations and leading visitors into different local districts: 1) “Play Time” passes through St. Dominic’s Church and the Ruins of St. Paul’s as well as new locations including Pátio de Chôn Sau, Rua das Estalagens, Rua dos Ervanários and Largo do Pagode do Bazar in the central district, in addition to the Camões Garden at St. Anthony’s Parish and Calçada da Igreja de S. Lázaro at St. Lazarus’ Parish; 2) “Youth Time” covers the Nam Van Lake Nautical Centre and Anim’Arte Nam Van at Praia Grande (Nam Van) and Sai Van district; 3) “Taste Time” passes through the Taipa Houses at Our Lady of Carmel Parish and new locations including the Taipa Municipal Market, Pak Tai Temple and the square in front of Pak Tai Temple. More gastronomic elements are added to the programme and routes of the Macao Light Festival in parallel with the “2018 Macao Year of Gastronomy”. 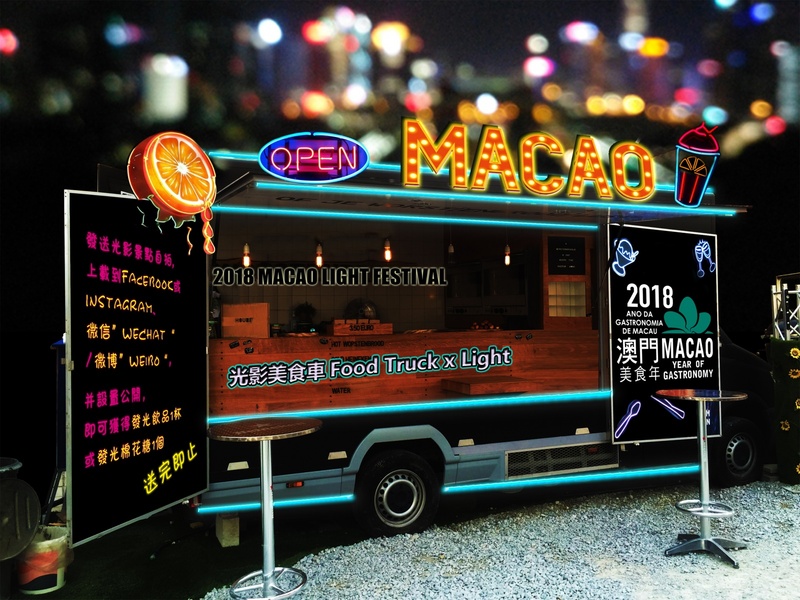 Besides projection mapping shows, interactive games and light installations showcasing the gastronomic culture of Macao, “Food Truck x Light” and Gastronomy Night Market will debut as new highlights to deliver the cross-field creativity of Macao as a Creative City of Gastronomy. Five projection mapping shows will be staged at three locations, besides an itinerant projection show at the Taipa Municipal Market. Three projection mapping shows produced by their respective teams from Portugal, Belgium and Macao will dazzle the Ruins of St. Paul’s at different periods. Two other projection mapping shows are meticulously created by local production entities: In “Flashing Macao” at St. Dominic’s Church, the Macao Tourism Mascot “MAK MAK” will lead the audience to time travel back to the old Macao before returning to the present and venturing into the city of the future; “Search for the Taste of Memory” at the square in front of Pak Tai Temple will open the eyes of the audience to local dining culture and habits in different decades, thereby manifesting preservation and renovation of the gastronomic culture of Macao as a Creative City of Gastronomy; the itinerant projection show at the Taipa Municipal Market, “Taste Buds Surprise”, will showcase the diverse cuisines of Macao in a splendid feast. 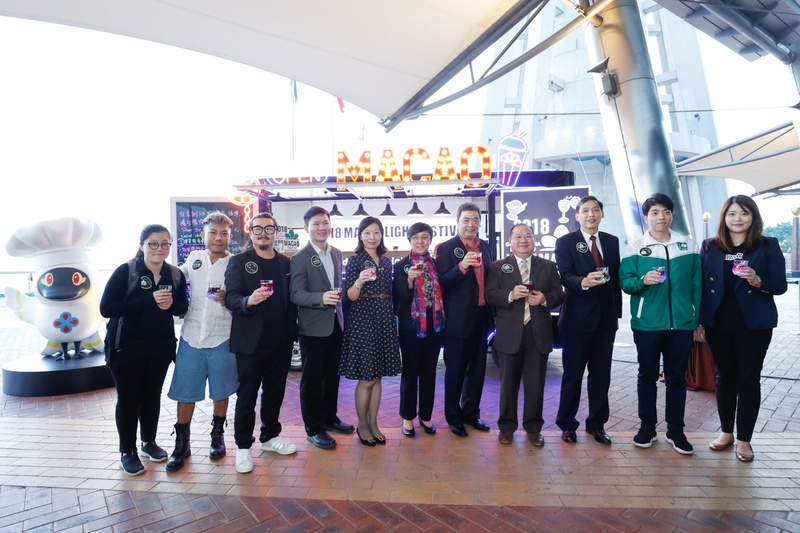 Launched for the first time, “Food Truck x Light” will offer illuminated drinks and souvenirs for redemption. The public can complete different designated activities in exchange for illuminated drinks and souvenirs at food trucks parked at three locations. The Gastronomy Night Market will unfold with local signature delights at the square in front of Pak Tai Temple as another new highlight. Information stations will be set up along the three routes, to provide information about the Light Festival and offer souvenirs for redemption. Residents and visitors can take photos with the Macao Tourism Mascot “MAK MAK”, who will appear along the three routes in a total of 14 image styles around the theme of Christmas, chef and gastronomy. Welcoming locals and visitors to join, one of the activities requires participants to look for “MAK MAK” along the routes, take pictures with it and complete the required steps in exchange for souvenirs. The event will bring forth an array of interactive games and light installations designed to enchant the audience and enhance their participation. “Nostalgic Hopscotch” at Largo do Pagode do Bazar will allow the audience to relive their childhood fun in Macao by hopping across the dazzling checkers. “Future Mailbox” at Calçada da Igreja de S. Lázaro will let the audience express their heart to themselves or others in the future on the big screen via the Macao Light Festival 2018 mobile app. “Fly over Macao．VR Experience” at the Nam Van Lake Nautical Centre will give participants their first virtual reality experience in the Macao Light Festival. Participants can soar above Macao and enjoy a panoramically scenic flight by putting on the VR goggles and robotic arm. Other illuminations and interactive installations include “Space-time Hot Air Balloons” spreading across the Nam Van Lake Nautical Centre and “Wall of Times”, which will give an introduction about the transformation of culinary culture in Macao at the Taipa Houses, delivering the essence of creative gastronomy. The Macao Light Festival will feature its first cultural and creative night market at Anim’Arte Nam Van, the local hub for culture, creativity and leisure. In addition, Outdoor Local Concert will be staged on Fridays, Saturdays and Sundays, creating exchange opportunities in the field and showing Macao’s cultural and creative industries to visitors from around the world. 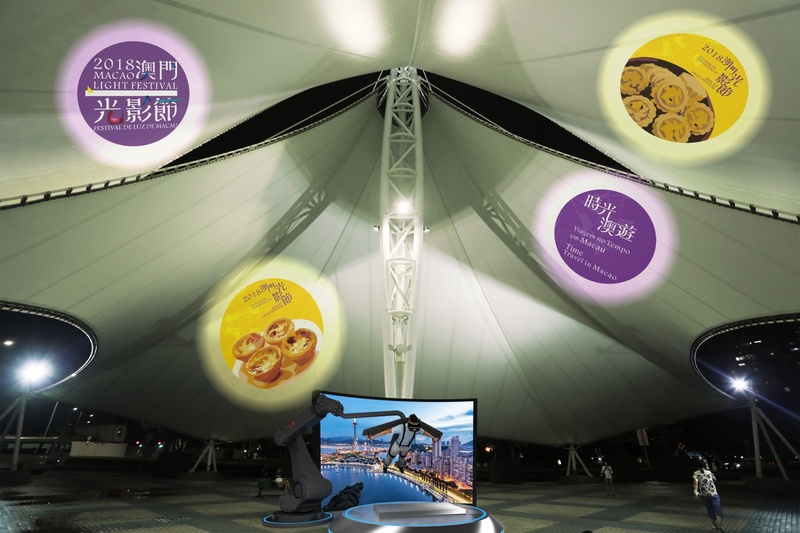 The Macao Light Festival 2018 mobile app provides route navigation, programme, augmented reality, the “Future Mailbox” interactive game and food coupons. The public can download the mobile app on App Store or Google Play for free as the Festival arrives. They can also obtain information about the Festival via MGTO’s official WeChat ID or the pages about the Macao Light Festival 2018 on Facebook, Instagram and Weibo. Furthermore, the Office is progressively publicizing the Festival program via its website, advertisements on television and radio stations, promotional leaflets and posters, besides promoting the event to worldwide visitors through its market representatives around the world. The Opening Ceremony of “Macao Light Festival 2018 – Time Travel in Macao” will be held at the Nam Van Lake Nautical Centre on the night of 2 December, inviting residents and visitors to venture onto a magical journey across time and space in Macao. 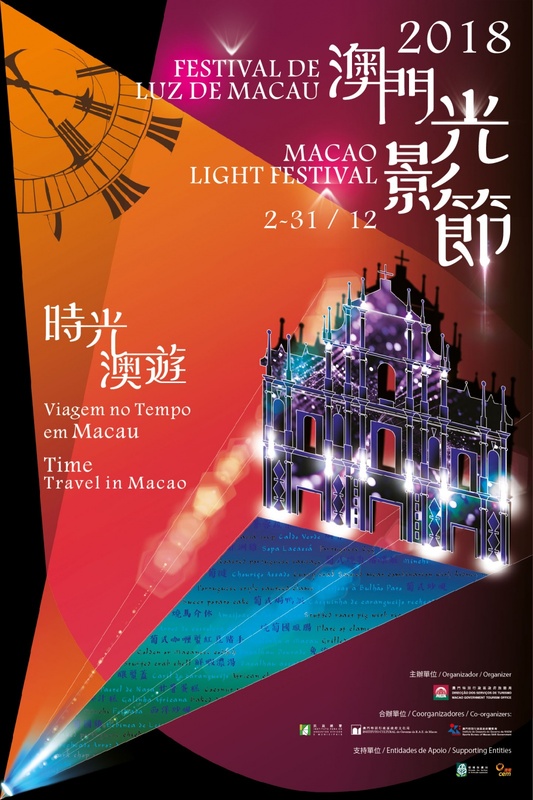 Please stay tuned to more information about the Macao Light Festival 2018 on MGTO’s website: www.macaotourism.gov.mo. MGTO highly values the results brought by the Macao Light Festival since its launch in 2015, with pertinent evaluations conducted every year. 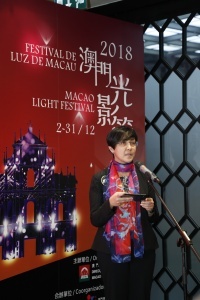 According to the report of assessment on media promotion and effects of the event, the level of awareness and support for “Macao Light Festival 2017 – AMOR MACAU” increased compared with that for the 2016 edition, in tandem with an enhancement in the overall effects of the event. MGTO will continue to absorb opinions from different sectors and evaluate the effects of the event, dedicated to forging the Macao Light Festival into Macao’s annual signature event and internationally prestigious brand of its kind, to consolidate Macao’s image as an international tourist city.